Cerebral palsy (CP) is caused by damage or abnormalities in the part of the brain that controls movement. It is considered a motor disorder, meaning that it’s characterized by unusual or involuntary movements. Cerebral palsy also often causes musculoskeletal conditions which can lead to joint and bone deformities. Many people with cerebral palsy also have issues such as epilepsy, cognitive impairments, and problems with vision or hearing. Cerebral palsy is the most common motor disability in childhood, affecting one in 323 children (1). A large number of diagnoses are caused by preventable birth injuries and medical malpractice. Cerebral Palsy Lawsuits – Do You Have a Case? Cerebral palsy (CP) is a group of non-progressive motor conditions that cause physical disability. CP is caused by damage to the motor control centers of the developing brain, which can occur before a baby is born, during childbirth, or after birth up to age five (2). ‘Cerebral’ refers to the cerebrum, which is the affected area of the brain (although the disorder may involve other parts of the brain, such as the cerebellum), and ‘palsy’ refers to a disorder of movement (3). The effects of cerebral palsy can vary dramatically from one individual to the next. Some have only minor impairments and are totally independent; others struggle greatly with the tasks of daily life and require extensive assistance and 24-hour care. Currently, cerebral palsy has no cure, but there are a variety of treatments and therapies that can alleviate certain symptoms and improve function. How do you pronounce cerebral palsy? Spastic cerebral palsy is by far the most common type of cerebral palsy, comprising roughly 80% of all cases (4). Children with spastic cerebral palsy have lesions in the upper motor neuron of the central nervous system (5). This damage leads to hypertonia (extreme muscle tension) in the muscles that receive signals from damaged portions of the brain (4). Hypertonia can cause involuntary muscle contractions, spasms, and secondary pain and/or stress (5). Additional side effects of spastic cerebral palsy include joint deformities (6), scoliosis (7), hip dislocation (8), and more. Ataxic cerebral palsy is the least common type, occurring in roughly 5-10% of all CP cases. It is caused by damage to the cerebellum (9), and affects controlled movements and fine motor skills. This includes balance and coordination (particularly while walking) and precise movements such as writing (10). In young children, hypotonia is a common manifestation of ataxic CP. Unlike the rare form of degenerative neurological disease ataxia, ataxic cerebral palsy is a non-progressive condition (11). It is common for children with ataxic cerebral palsy to have difficulty with visual processing (depth perception and eye movement control) and/or speech (12). Athetoid/dyskinetic cerebral palsy (ADCP) occurs in roughly 0.27 per 1,000 live births (13), and comprises 15-20% of CP cases. This subtype is the result of damage to the basal ganglia, the part of the brain responsible for regulating voluntary movements (14). In many cases, ADCP is caused by hypoxic-ischemic encephalopathy/HIE (brain damage due to a lack of oxygenated blood) or kernicterus (brain damage due to severe or improperly-managed jaundice). Dystonia (dystonic cerebral palsy): Involuntary muscular contractions that cause repetitive twisting motions, postural abnormalities, and painful movement. Athetosis: Abnormal muscle contractions that cause slow, involuntary writhing movements. Chorea: Irregular, unpredictable jerking movements. When chorea occurs in conjunction with athetosis, it is known as choreoathetosis. Mixed cerebral palsy involves a combination of symptoms that don’t all fit in with a single subtype of CP. For example, a child may have both hypertonia and hypotonia. In other words, some of their muscles are too tight, while others are too loose (3). It is important to know that the cerebral palsy classification systems can be used in conjunction to reveal various aspects of a patient’s condition. 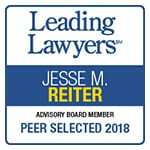 In other words, they’re not conflicting or mutually-exclusive, and a child may receive a diagnosis using terms from various classification systems. Hypertonic cerebral palsy: Hypertonic or hypertonia refers to abnormally high muscle tone, which creates muscular stiffness and rigidity. Spastic cerebral palsy is characterized by hypertonia. Hypotonic cerebral palsy: Hypotonic or hypotonia refers to abnormally low muscle tone. Symptoms of hypotonia include floppiness and weakness. Forms of non-spastic cerebral palsy (ataxic, dyskinetic, and athetoid cerebral palsy) are characterized by hypotonia. Mixed cerebral palsy is characterized by both hypotonia and hypertonia. Monoplegic cerebral palsy (monoplegia; monoparesis) 1 Can be any one limb. Hemiplegic cerebral palsy 2 Limbs affected on the same side of the body (ex: left arm and left leg). Diplegic cerebral palsy 2 CP that affects two symmetrical limbs, usually the legs. However, other parts of the body may also be affected, to a lesser degree. Paraplegic cerebral palsy 2 Impairs the lower body, affecting both legs. Triplegic cerebral palsy 3 Impacts three limbs. Quadriplegic cerebral palsy 4 Involves all four limbs; other areas of the body may also be affected. Pentaplegic cerebral palsy 5 Impacts both legs, both arms, and the head and neck. Extent of movement impairment: The GMFCS measures a child’s ability to perform gross motor functions independently. It takes into consideration walking ability, balance, dependence on equipment, and related factors. Age: The GMFCS measures individuals by age group including 0-2, 2-4, 4-6, 6-12, and 12-18. Performance in a variety of settings: The GMFCS measures a child’s functional ability in settings such as the home, school, and community. The GMFCS is measured in levels (GMFCS Level 1-5), with the highest level signifying the most severe forms of cerebral palsy. By classifying a child with cerebral palsy based on the GMFCS, parents, medical professionals, and caregivers can determine appropriate therapy regimens, plan lifestyle adjustments, and estimate rehabilitation potential. The GMFCS works in conjunction with the other classification systems discussed on this page. Level I – Has functional gross motor skills, though may struggle with speed, balance, and coordination. Moves independently without the aid of adaptive equipment. Level II – Can walk with limitations and may need assistance with inclined or uneven surfaces. Level III – Can walk with the use of hand-held adaptive equipment, but may use wheeled mobility under certain circumstances. Level IV – Is self-mobile only with significant limitations. Many use powered-wheelchairs, require significant help with transfers, and are dependent on adaptive and assistive equipment. Level V – Voluntary movement is typically very difficult, and the individual is extremely dependent on adaptive equipment, assistive technology, and help from other people for mobility. For more detailed information on GMFCS levels, click here. MACS Level I: Children handle objects with ease. MACS Level II: Children largely handle objects successfully, but with compromised speed or quality. MACS Level III: Children experience difficulty handling objects and often require help. MACS Level IV: Children can handle certain objects (with difficulty), but require extensive help from others. MACS Level V: Children have extremely limited ability to perform manual activities. The Communication Function Classification System (CFCS) (22) categorizes individuals with cerebral palsy and other disabilities based on everyday communication performance. As with the GMFCS and the MACS, the CFCS has five levels that represent increasing severity. CFCS Level I: The person can effectively send and receive communicative information with unfamiliar and familiar partners. CFCS Level II: The person effectively, but slowly, sends and receives communication information with both unfamiliar and familiar partners. CFCS Level III: The person is usually able to effectively send and receive communication information with familiar partners, but may struggle to communicate with unfamiliar partners. CFCS Level IV: The person inconsistently sends and receives communication information with familiar partners, and rarely can communicate with unfamiliar partners. CFCS Level V: The person rarely communicates effectively, even with familiar people. Signs can be detected, measured, and confirmed in a clinical setting by medical practitioners. Examples include seizures and tremors. Symptoms are solely based on a patient’s personal experience of his or her medical conditions. Examples include pain and irritability. Because cerebral palsy affects different people in different ways, there is no one sign or symptom used individually to diagnose it. Most people with cerebral palsy are diagnosed as infants or toddlers, but others do not show clear signs or express symptoms until they are a bit older and developmental delays (missed milestones) become more obvious. Click here to learn more about early signs of cerebral palsy. Cerebral palsy can be caused by environmental and/or genetic factors. However, in most cases, it is attributable to a birth injury (i.e. something that goes wrong during pregnancy, birth, or the neonatal period). Unfortunately, birth injuries that result in cerebral palsy are often linked to medical malpractice. It is worth noting, however, that these issues do not guarantee that a child will necessarily develop cerebral palsy. In many cases, cerebral palsy is a preventable condition. This means that medical practitioners can avoid cerebral palsy by following the standards of care for a given pregnancy, labor, or birth. If they mismanage the above conditions, cerebral palsy is much more likely to result. The diagnosis of cerebral palsy is typically based on a physical examination and the child’s medical history. Neuroimaging with CT or MRI is warranted when the cause of a child’s cerebral palsy has not been established. When abnormal, neuroimaging studies can suggest the timing of the initial damage. An abnormal neuroimaging study indicates a high likelihood of associated conditions such as epilepsy and developmental disabilities. Some people with cerebral palsy are diagnosed in early infancy, and most receive their diagnosis by age two. However, cerebral palsy may go undetected until children miss major developmental milestones; sometimes, a diagnosis is not made until age four or five (3). Because clinical signs of cerebral palsy evolve as the nervous system matures, the diagnostic process usually involves multiple trips to the child’s primary physician, as well as several other specialists. Spastic cerebral palsy diagnoses are often made between 9.6 and 11 months if it is bilateral, and between 12.0 and 15.6 months if it is unilateral. 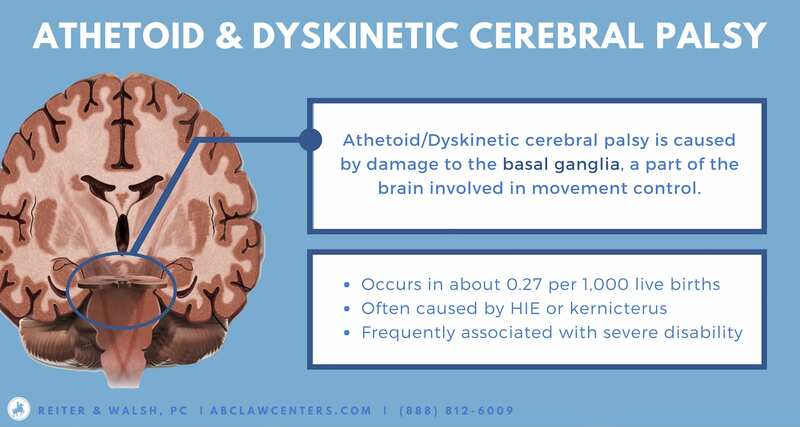 Dyskinetic cerebral palsy diagnoses are often made between 6.0 and 8.4 months. Ataxic cerebral palsy diagnoses are often made between 12.6 and 30.0 months. It is important to note that the degree of motor disability also influences diagnostic age. Those with more severe impairments are generally diagnosed earlier because the signs are more obvious (28). Apgar Scoring: Apgar tests determine a newborn’s overall health within the first few minutes of life. Umbilical Cord Blood Gas Tests: Blood gas tests measure how much oxygen and carbon dioxide are in the baby’s blood, which impacts the blood’s pH (acidity). If the baby’s blood is acidic, this means the baby may have suffered oxygen deprivation, which could lead to cerebral palsy and other types of brain damage. Reflex Tests: Reflex tests help diagnose cerebral palsy and developmental delays, and monitor abnormal reflex development in babies. Developmental testing: Developmental tests assess whether infants are meeting specific developmental milestones at the expected time. Diagnosing cerebral palsy as early as possible is a critical component of maximizing a child’s independence, function, and potential. The sooner children are diagnosed with cerebral palsy, the sooner they can begin the treatment and therapy regimens designed to preserve brain function, lessen impairments, and improve functional ability. The best way to ‘treat’ cerebral palsy is to minimize risk in the first place. There is promising research indicating that magnesium sulfate and betamethasone have neuroprotective effects for babies at high risk of premature birth. When given in utero, these drugs can help to prevent cerebral palsy (29, 30). In addition, research shows that birth-injured babies who are given therapeutic hypothermia (brain cooling or body cooling therapy) within the first hours of life have a decreased chance of having cerebral palsy, or may have a less severe form of the disorder. Once a child has been diagnosed with cerebral palsy, treatment is mostly supportive and focuses on helping the child develop as many motor skills as possible and/or to learn how to compensate for a lack of them. Typically, the earlier medical interventions begin, the better outcomes children have. In addition to medical treatments and therapies, children with cerebral palsy may benefit greatly from assistive technology (AT). According to the Assistive Technology Industry Association, this is “any item, piece of equipment, software program, or product system used to increase, maintain, or improve the functional capabilities of persons with disabilities.” AT includes everything from low-tech things like weighted pens to more high-tech equipment such as mouth-controlled wheelchairs. To learn more about forms of AT that may be useful to people with cerebral palsy, click here. Since cerebral palsy is frequently the result of medical mistakes made during pregnancy, around the time of delivery, or in the neonatal period, it is often preventable. Because the effects of cerebral palsy can be severe, it is tragic that many cerebral palsy diagnoses may be the result of preventable medical errors and birth injuries. Who is responsible for preventing cerebral palsy? Medical professionals (including doctors, nurses, surgeons, obstetricians, midwives, NICU staff, pharmacists, and anesthesiologists, among others) are required to meet a certain standard of care in order to prevent injury or harm to an expectant mother and her baby. Although it is solely the responsibility of medical professionals to prevent medical errors that can cause cerebral palsy, there are steps patients and their loved ones can take to prevent birth injury and medical mistakes. Patients and their loved ones are encouraged to speak up with any questions or concerns they may have regarding their care. Many dangerous medical errors result from miscommunication between medical personnel and patients, so prioritizing clear, open communication with your doctors often helps. Additionally, being aware of dangerous phenomena such as the Weekend Effect and the July Effect can help prevent medical malpractice, birth injuries, and cerebral palsy. Determining whether a child’s cerebral palsy is the result of medical negligence is crucial in determining eligibility for compensation permitted by the law. Unfortunately, a number of families avoid medical malpractice litigation for different reasons—some fear confrontation, some feel they don’t have the resources, some simply feel overwhelmed, and others doubt they have a case. The best—and only—way to find out if you have a cerebral palsy case is to reach out to an attorney for a legal consultation. An experienced birth injury attorney will do a thorough investigation of the medical records and review the case with expert medical professionals to determine whether negligent care was the cause of a child’s cerebral palsy. These case evaluations are free of charge and obligation. For that matter, you pay nothing throughout the entire legal process unless we win your case. Please reach out today to learn more. In this video, birth injury lawyers Jesse Reiter and Rebecca Walsh discuss cerebral palsy, how birth injuries and negligence can cause cerebral palsy, and a groundbreaking treatment that can prevent cerebral palsy. This treatment, known as therapeutic hypothermia, is the only known treatment for hypoxic-ischemic encephalopathy, a dangerous brain injury that often leads to cerebral palsy. Jesse and Rebecca also describe the symptoms to look for if you think your loved one may have cerebral palsy. To determine liability in a cerebral palsy case, the cerebral palsy attorneys and nurses at ABC Law Centers review hospital birth records, which include fetal monitoring strips, lab tests, and much more. Tilton, A. H. (2004, March). Management of spasticity in children with cerebral palsy. In Seminars in Pediatric neurology (Vol. 11, No. 1, pp. 58-65). WB Saunders. Abdelaziz, T. H., Elbeshry, S. S., Mahran, M., & Aly, A. S. (2017). Flexion deformities of the wrist and fingers in spastic cerebral palsy: A protocol of management. Indian journal of orthopaedics, 51(6), 704. Cloake, T., & Gardner, A. (2016). The management of scoliosis in children with cerebral palsy: a review. Journal of Spine Surgery, 2(4), 299. Lundy, C., Lumsden, D., & Fairhurst, C. (2009). Treating complex movement disorders in children with cerebral palsy. The Ulster medical journal, 78(3), 157. Aravamuthan, B. R., & Waugh, J. L. (2016). Localization of basal ganglia and thalamic damage in dyskinetic cerebral palsy. Pediatric neurology, 54, 11-21. Hou, M., Zhao, J. H., & Yu, R. (2006). Recent advances in dyskinetic cerebral palsy. World J Pediatr, 1, 23-28. Palisano, R., Rosenbaum, P., Bartlett, D., & Livingston, M. (2007). Gross motor function classification system expanded and revised (gmfcs-e & r). CanChild Center for Childhood Disability Research, McMaster University. Ohrwall, A., Wahlstrom, U., & Persson-Annersten, A. (2018). Mini-Manual Ability Classification System for children with cerebral palsy 1 – 4 years of age[PDF]. Hidecker, M. J. C., Kent, R., Paneth, N., Rosenbaum, P., Eulenberg, J. B., Fisk, J., … & Jones, R. S. (2007). Communication function classification system (CFCS) for individuals with cerebral palsy. In Conference session presented at the annual conference of the American Speech-Language-Hearing Association, Boston, MA. Nelson, K. B., & Ellenberg, J. H. (1979). 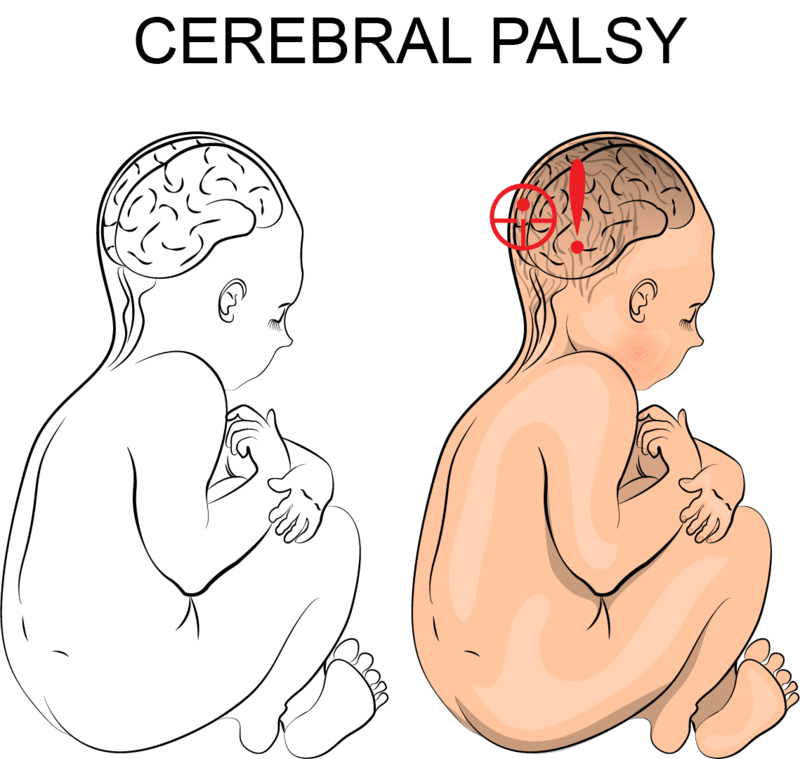 Neonatal signs as predictors of cerebral palsy. Pediatrics, 64(2), 225-232. McIntyre, S., Badawi, N., Brown, C., & Blair, E. (2011). Population, case-control study of cerebral palsy: neonatal predictors for low-risk term singletons. Pediatrics, peds-2010. Dutt, R., Roduta-Roberts, M., & Brown, C. A. (2015). Sleep and children with cerebral palsy: a review of current evidence and environmental non-pharmacological interventions. Children, 2(1), 78-88. Granild‐Jensen, J. B., Rackauskaite, G., Flachs, E. M., & Uldall, P. (2015). Predictors for early diagnosis of cerebral palsy from national registry data. Developmental Medicine & Child Neurology, 57(10), 931-935. Kent, A. (2008). Magnesium Sulphate and Cerebral Palsy. Reviews in Obstetrics and Gynecology, 1(4), 205. O’Shea, T. M., Jacks, K. E., Klinepeter, K. L., Peters, N. J., & Dillard, R. G. (1999). Antenatal Betamethasone and the Risk of Cerebral Palsy (CP) in Very Low Birth Weight (VLBW) Neonates. Pediatric Research, 45(4, Part 2 of 2), 252A.